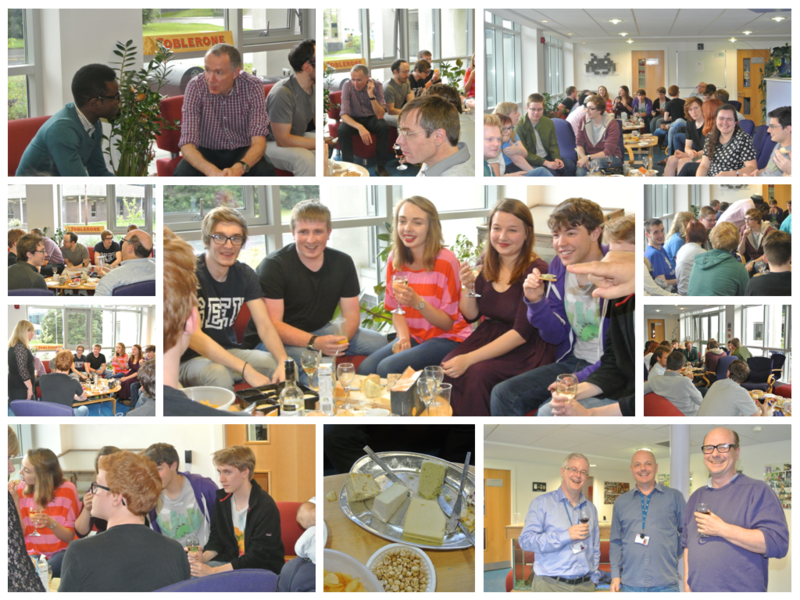 After a busy week of induction and module talks, staff and students are pictured during orientation and welcome receptions. 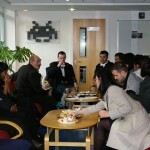 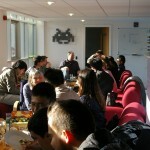 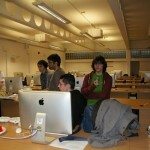 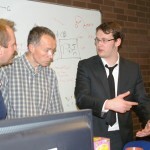 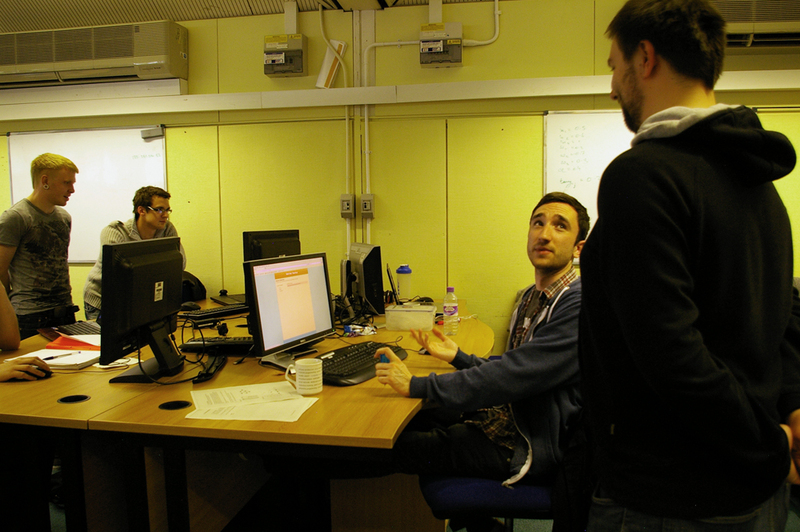 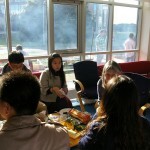 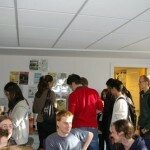 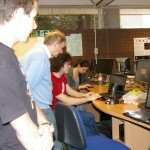 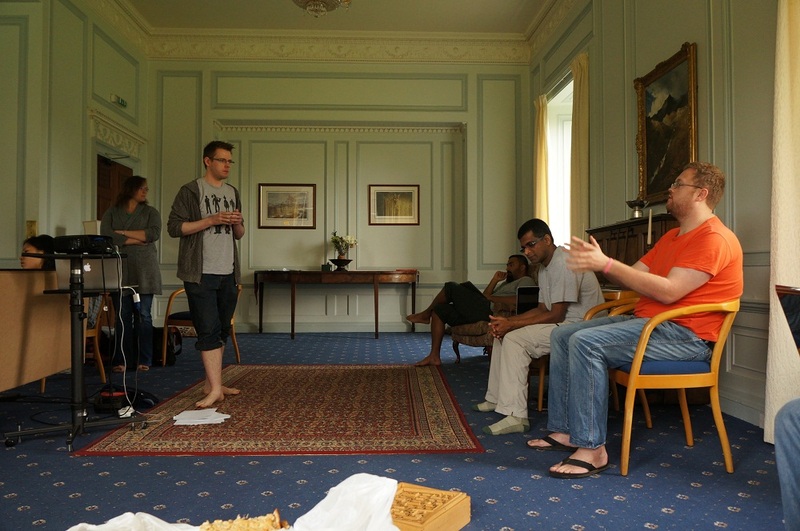 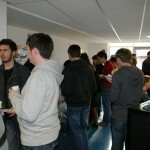 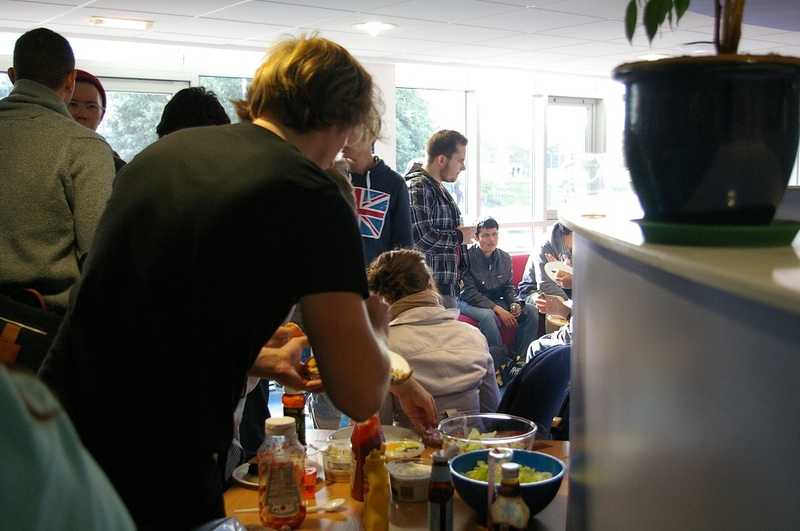 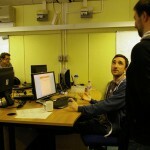 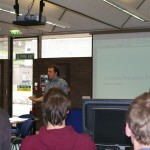 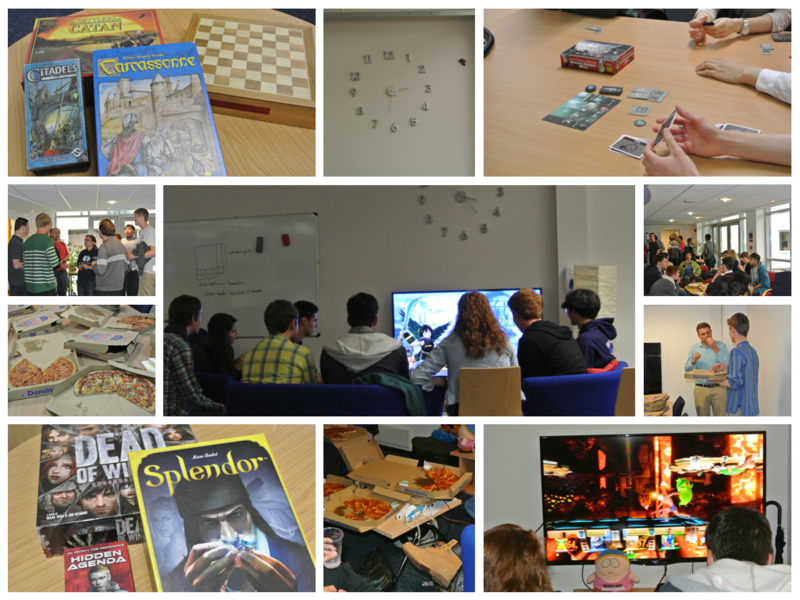 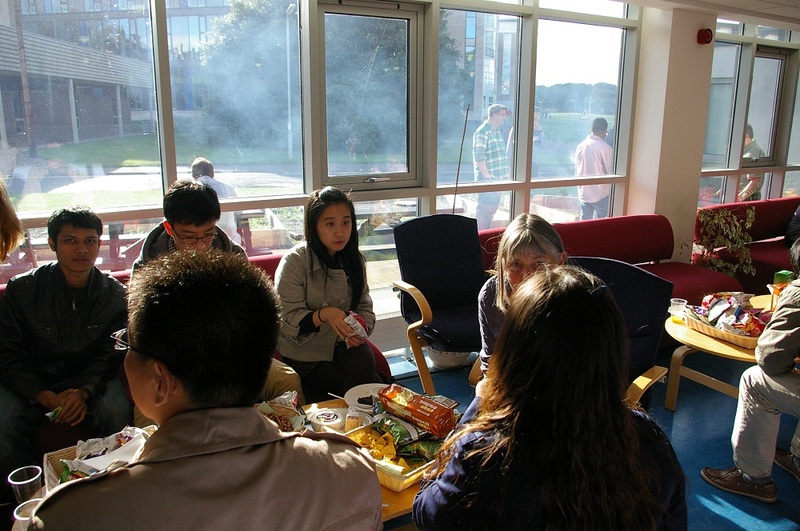 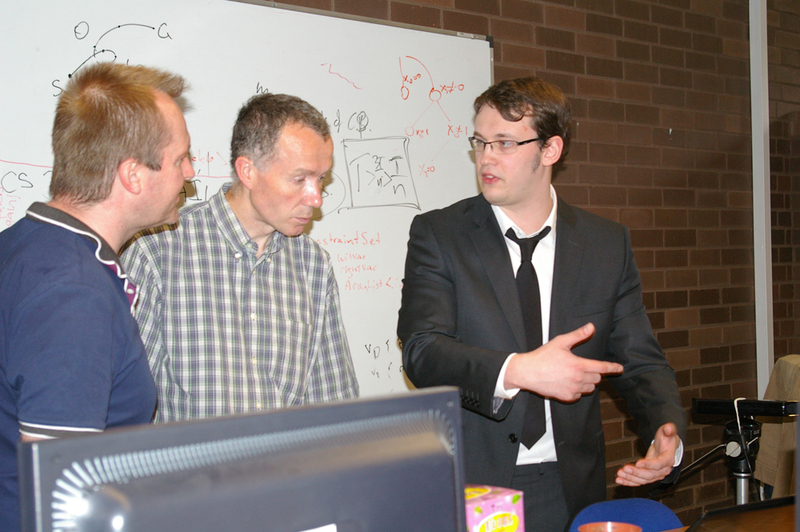 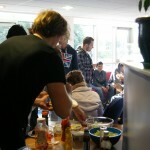 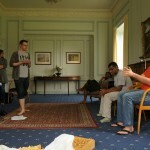 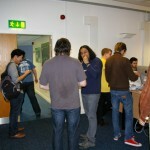 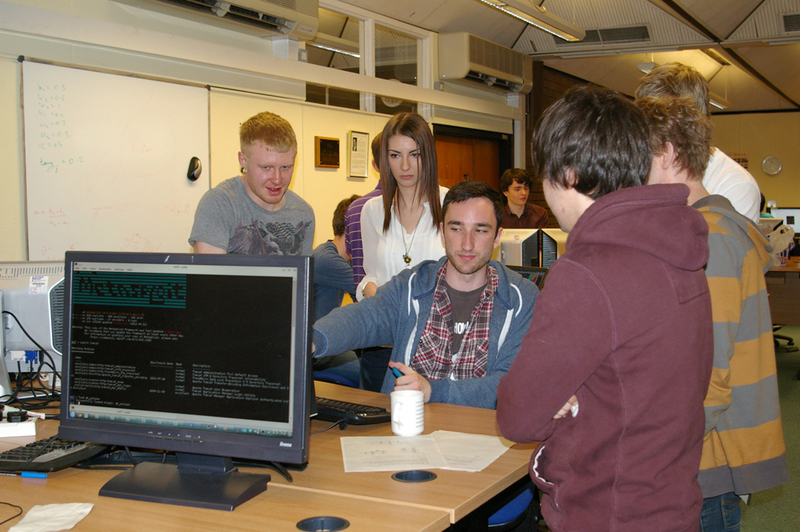 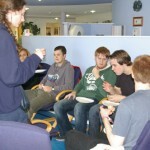 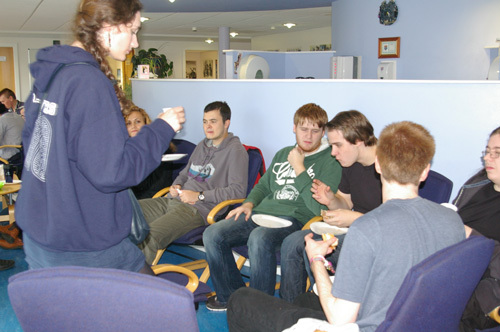 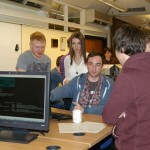 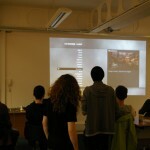 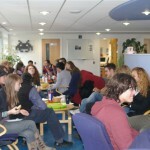 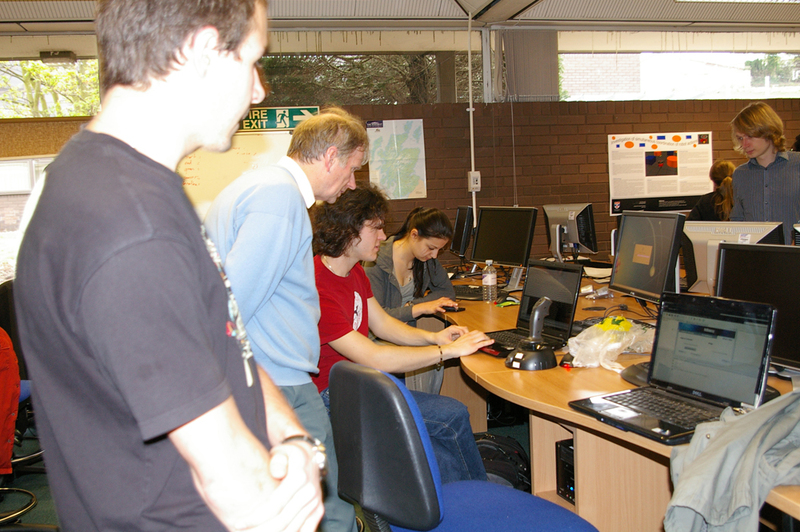 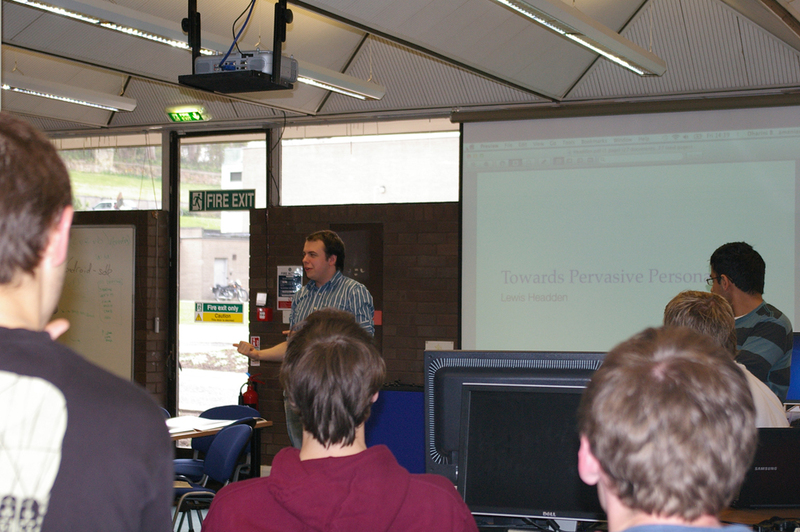 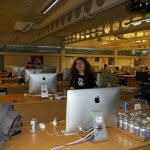 Undergraduate students were invited to a gaming session followed by pizza. 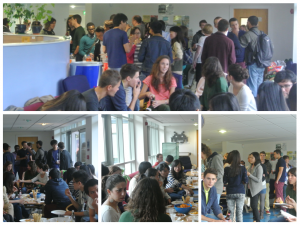 It’s always rewarding to see so many students and staff welcoming our new 1st year students. 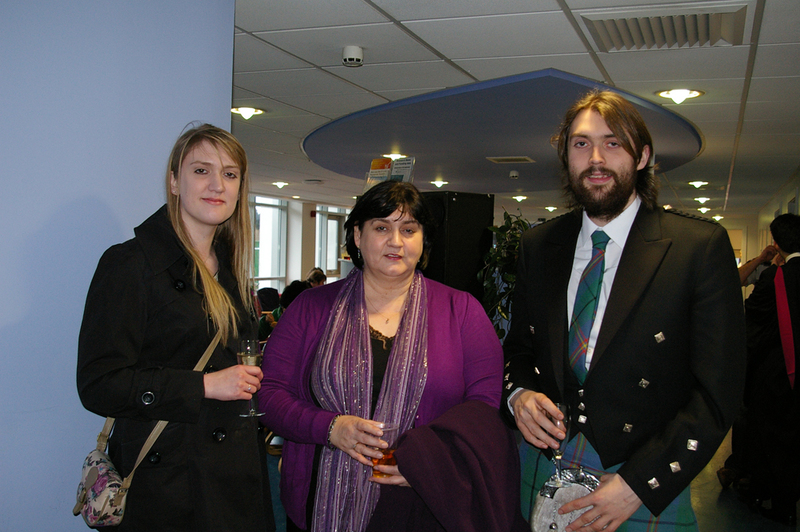 Thanks to School president, Maria Kustikova for overseeing events. 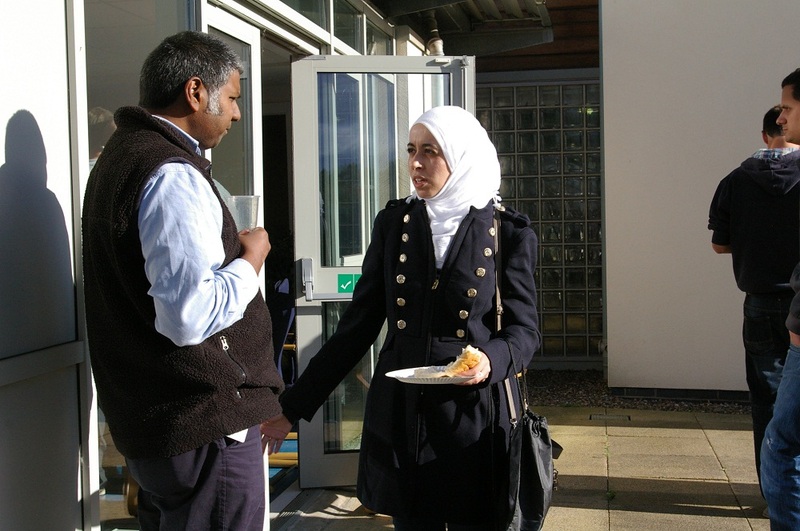 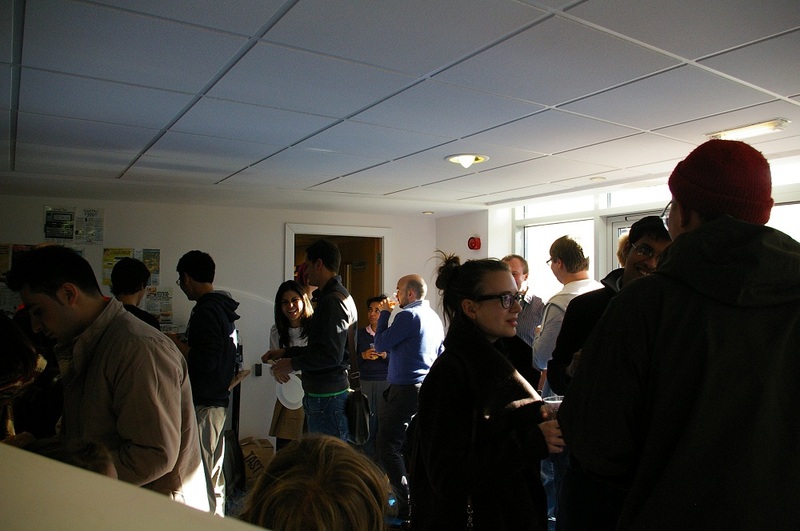 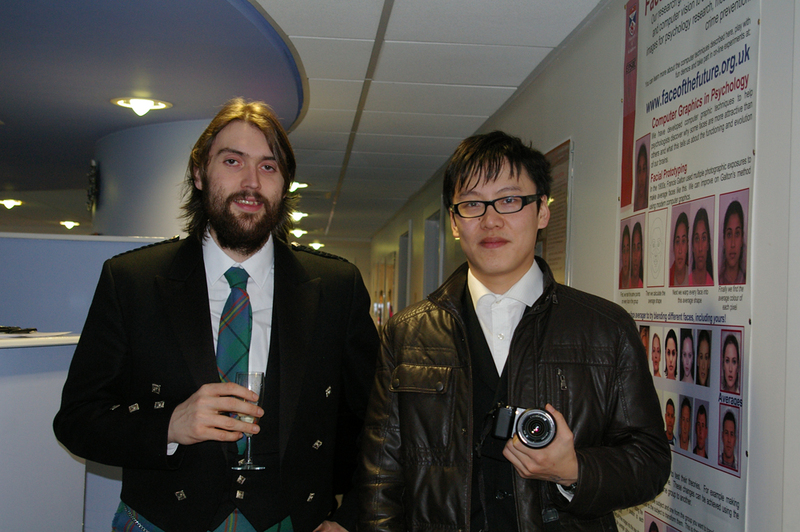 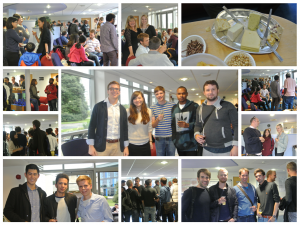 Welcome receptions last Wednesday and Thursday evening for our MSc and Honours students, also proved popular and highlight the outstanding student community within the School. 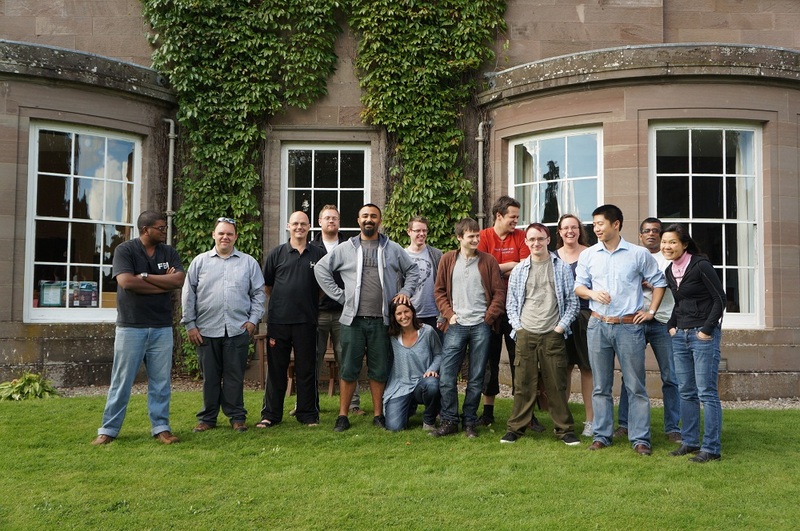 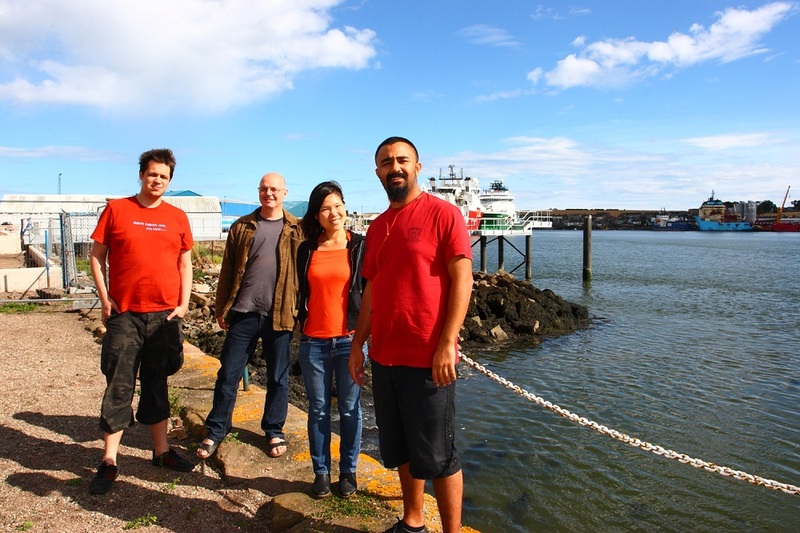 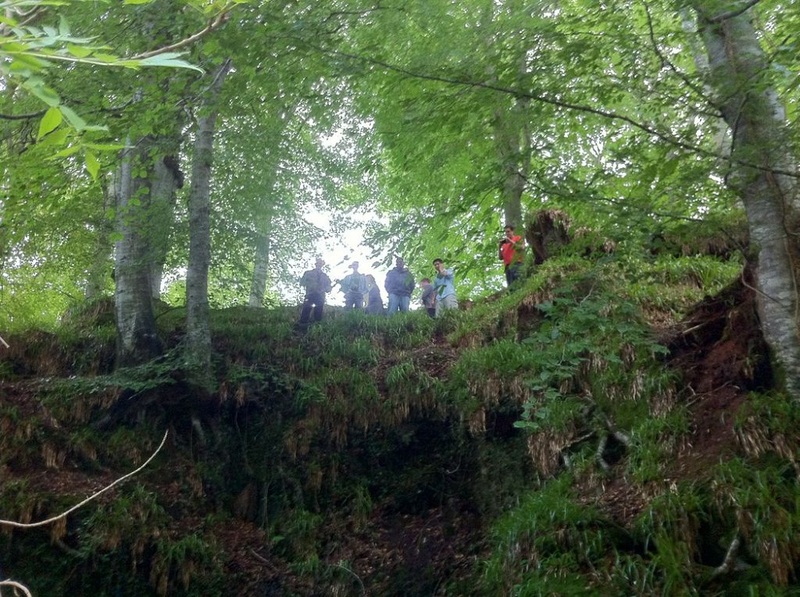 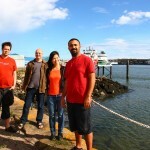 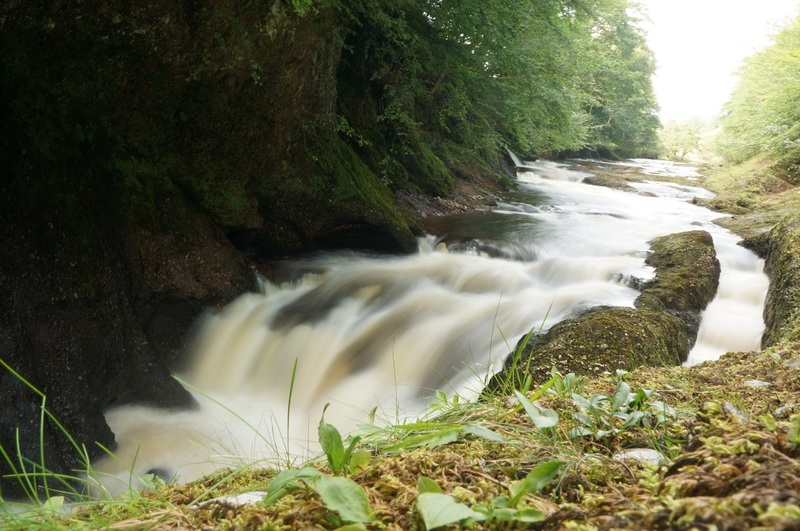 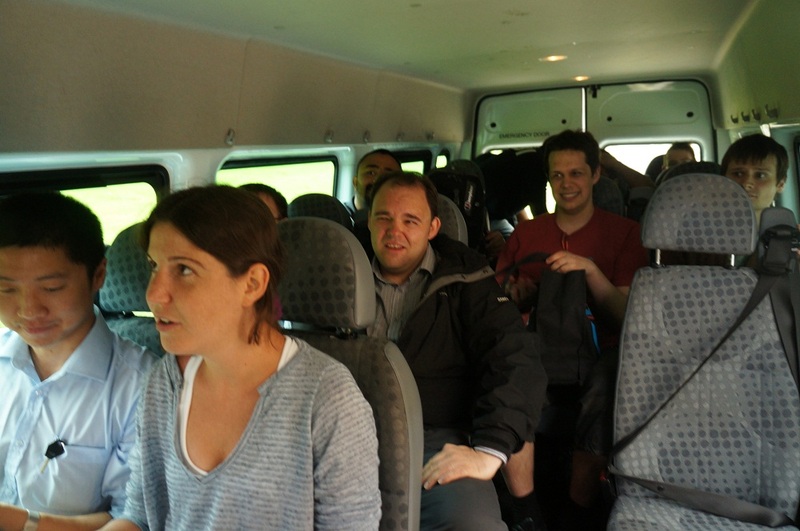 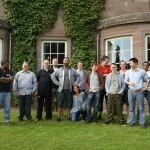 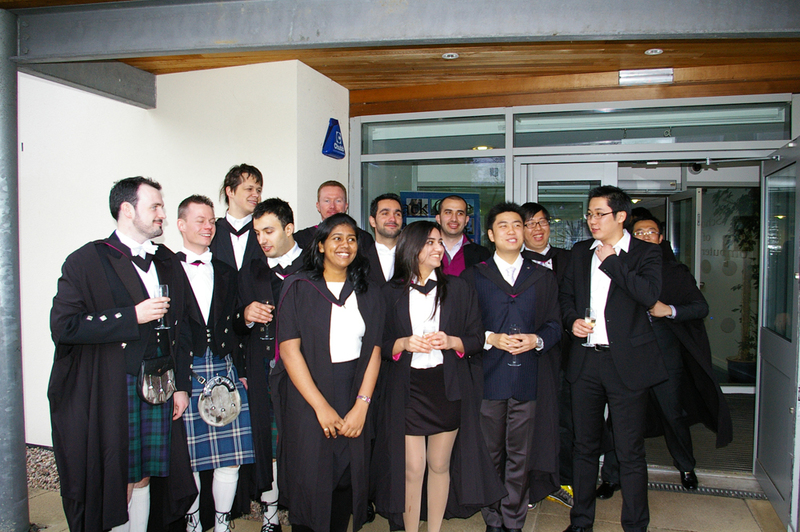 Last September a diverse group of students arrived at orientation to begin, their MSc journey. 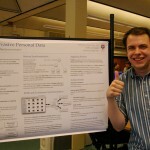 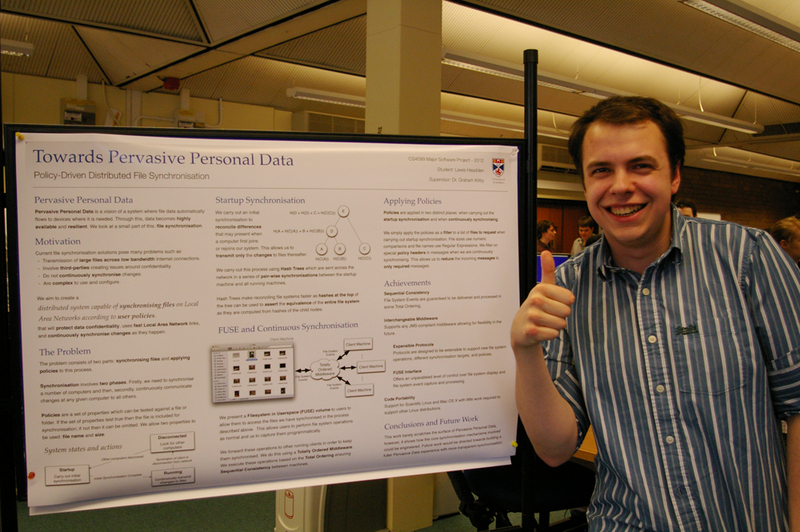 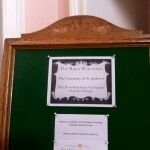 After a year of hard work, and an intensive summer project, students submitted their final dissertation last week. Earlier today they had an opportunity to present their posters and demonstrate their project artefacts. 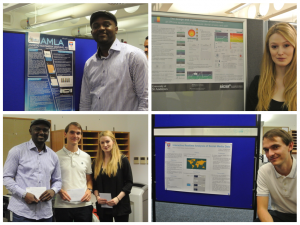 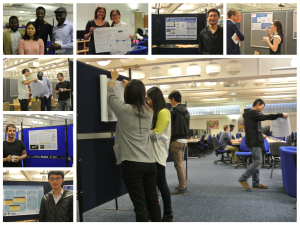 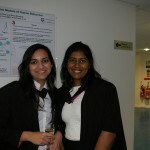 With prizes awarded to the top 3 posters and cakes for all, the session proved busy and provided the perfect occasion to meet with second markers, reflect upon the dissertation journey and appreciate the projects completed by their peers. Congratulations to Alice Herbison (overall winner): The design and implementation of DentalAnx, (best runner-ups) Bejamin Yakubu: AMLA Android Multimedia Learning Aid, and Thomas Brunner: Interactive Realtime Analysis of Social Media Data, all three received the coveted amazon vouchers. 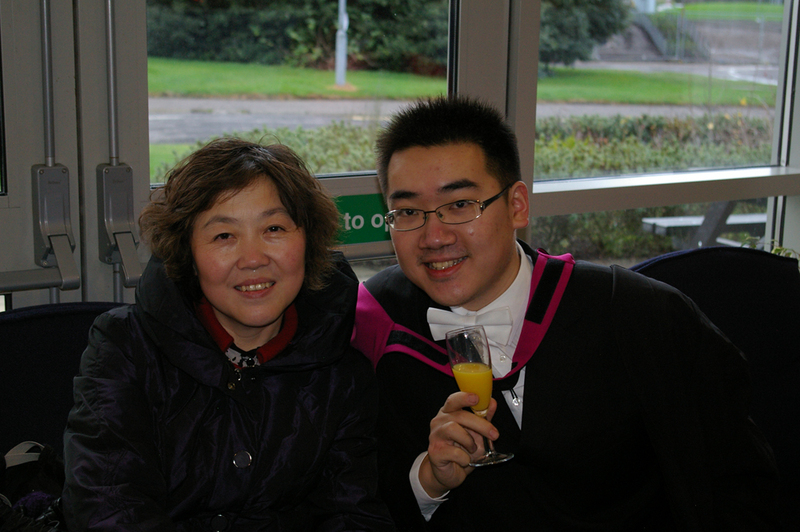 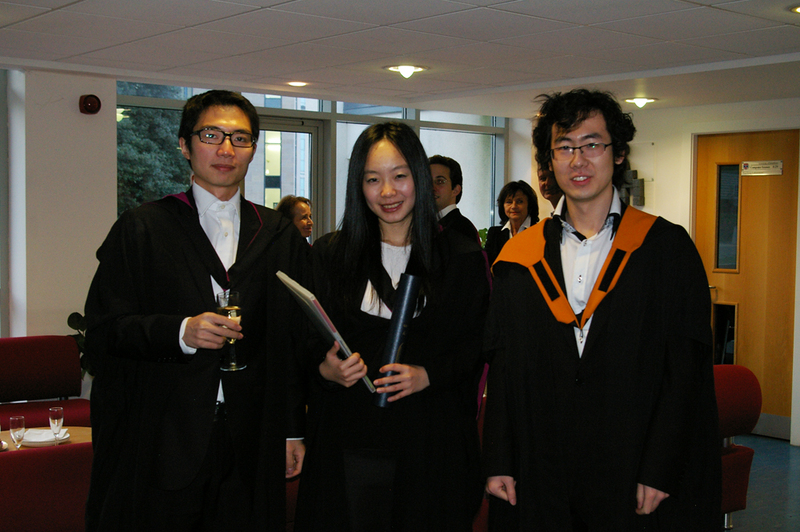 We wish them all, every success with future plans, and look forward to seeing them again at December 2014 Graduation! 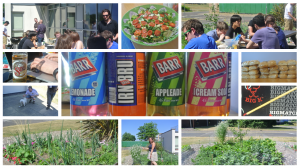 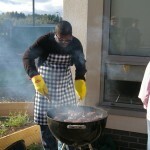 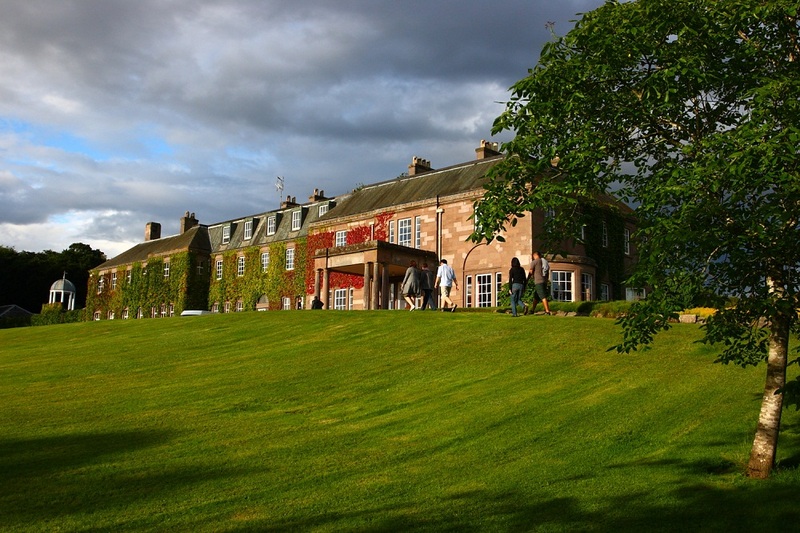 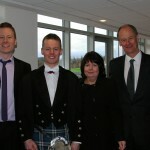 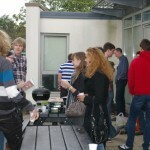 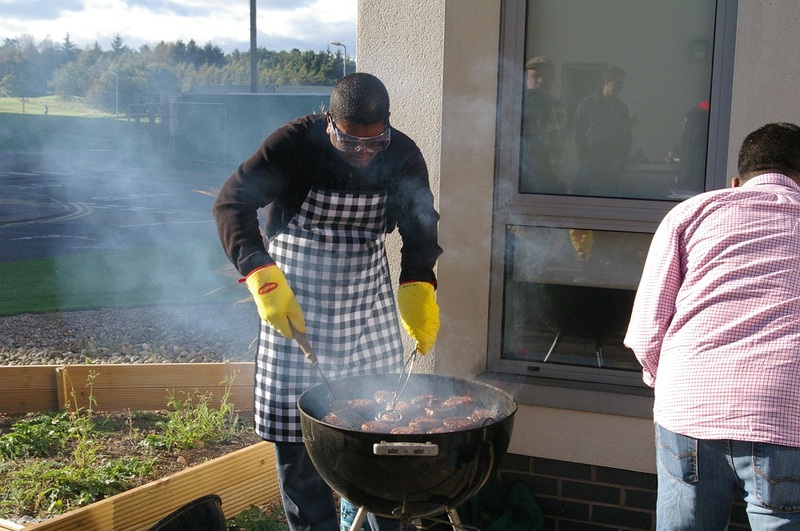 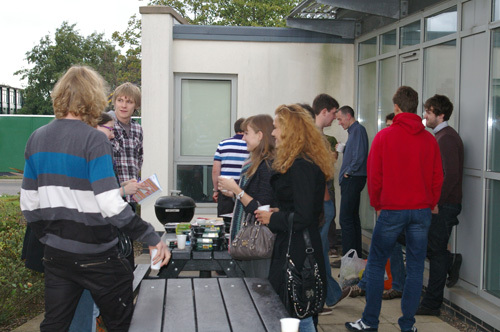 Students and staff took advantage of the Scottish weather on Friday and held a BBQ to mark the anniversary of these events. 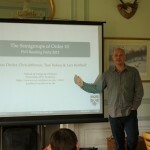 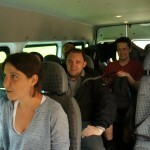 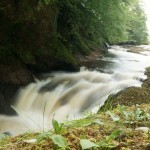 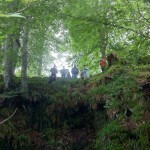 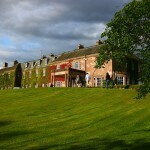 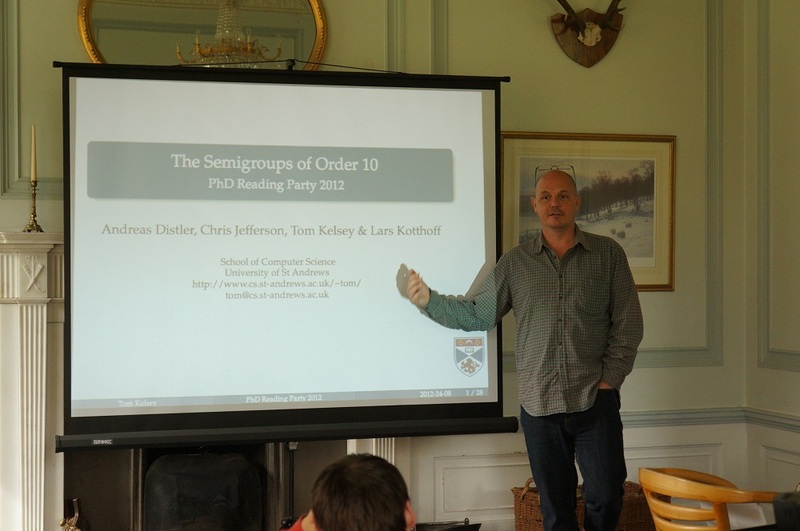 Organised by Jan de Muijnck-Hughes and David Letham. 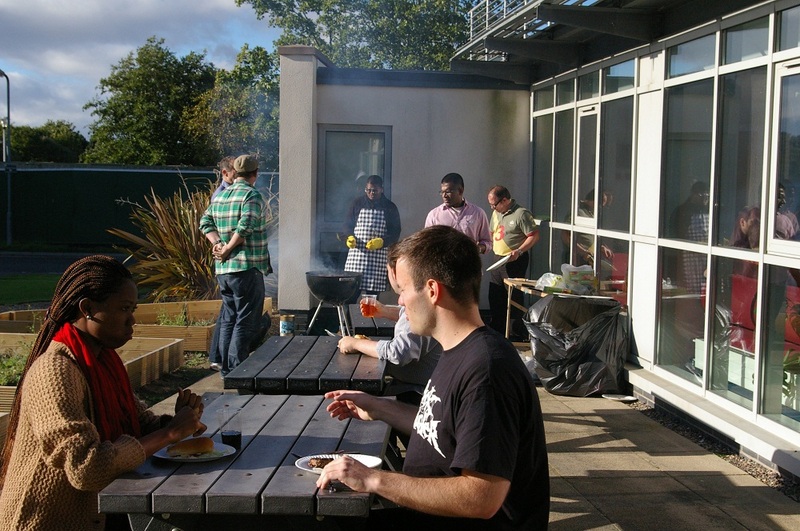 Cooked by Jan de Muijnck-Hughes and Masih Hajiarabderkani. Salad ingredients from the StACS Garden. 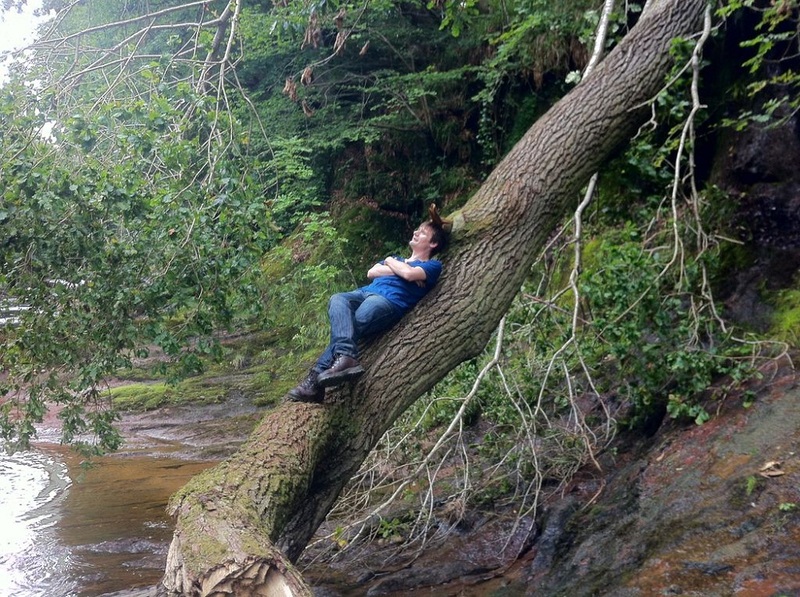 Enjoyed by all (including Pippa the dog). 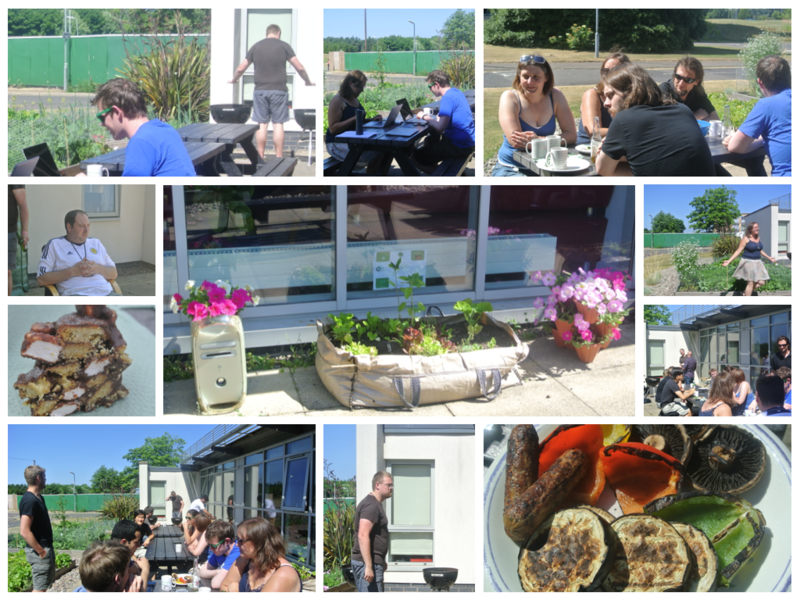 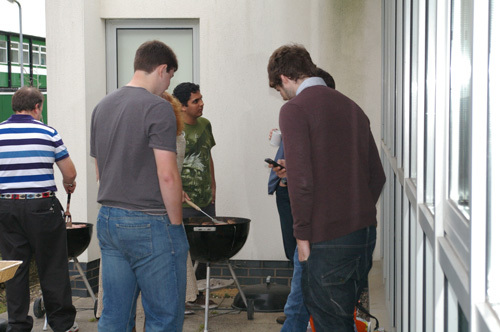 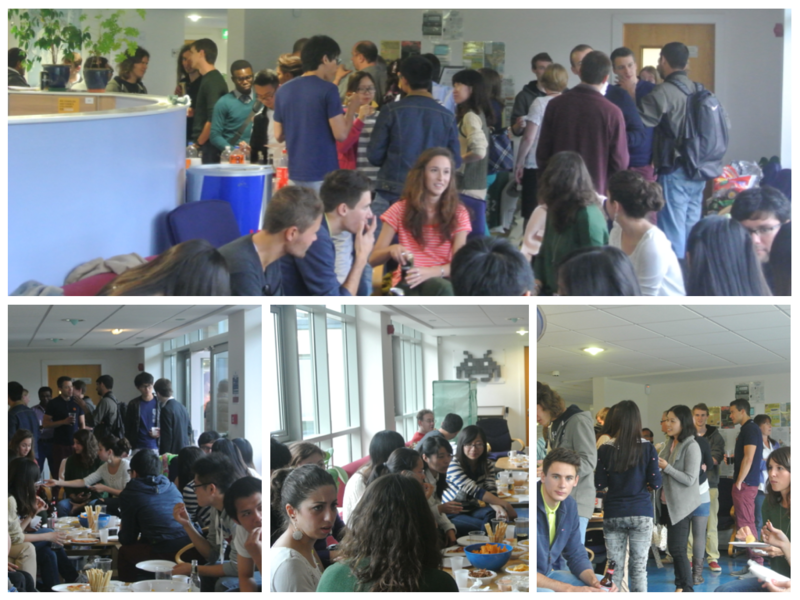 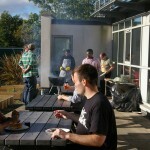 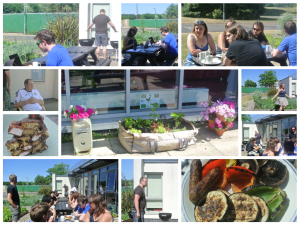 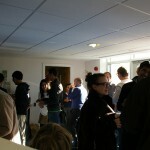 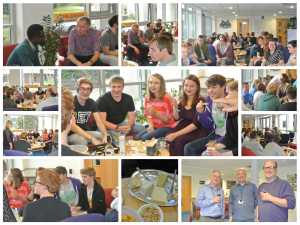 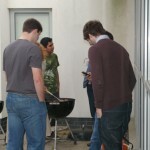 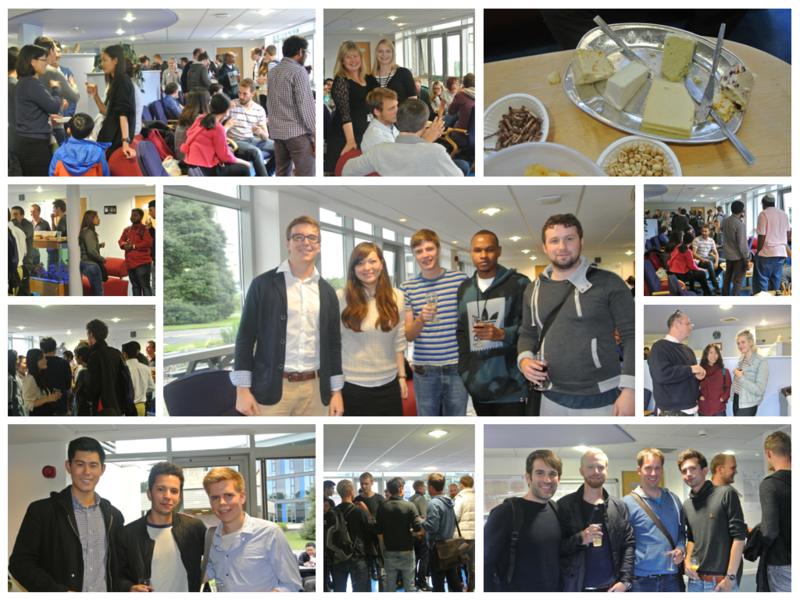 After a busy week of welcome talks and induction, orientation week drew to a close with the postgraduate BBQ. 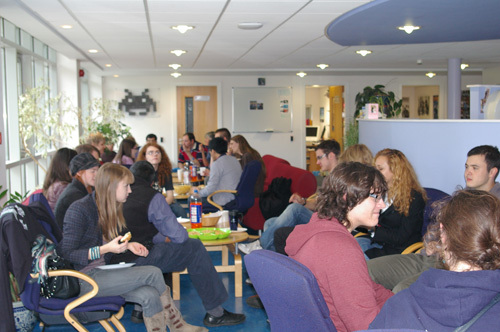 MSc and PhD students had an opportunity to meet each other, discuss their diverse backgrounds, previous studies, eat burgers, twiglets and consume the local delicacy Irn Bru. 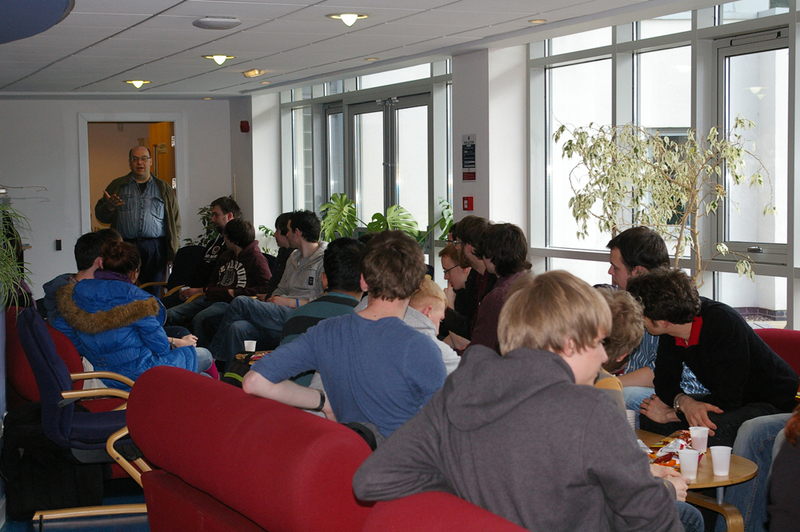 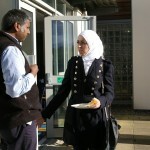 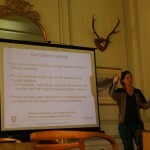 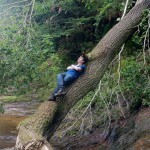 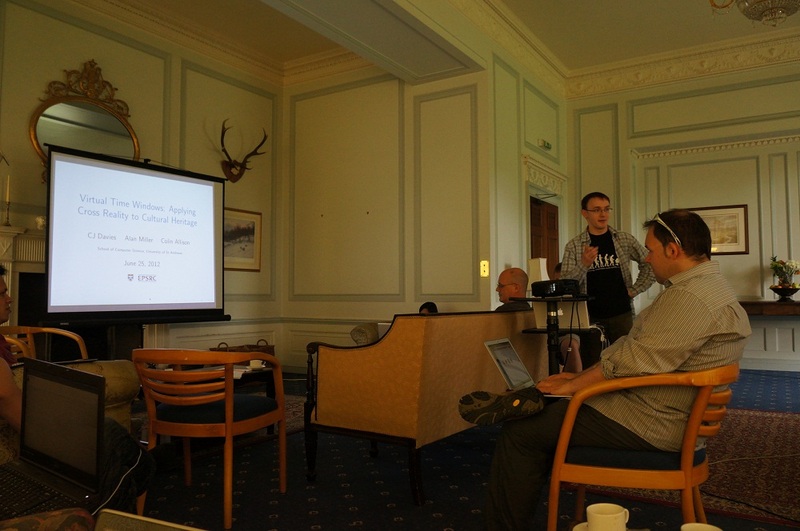 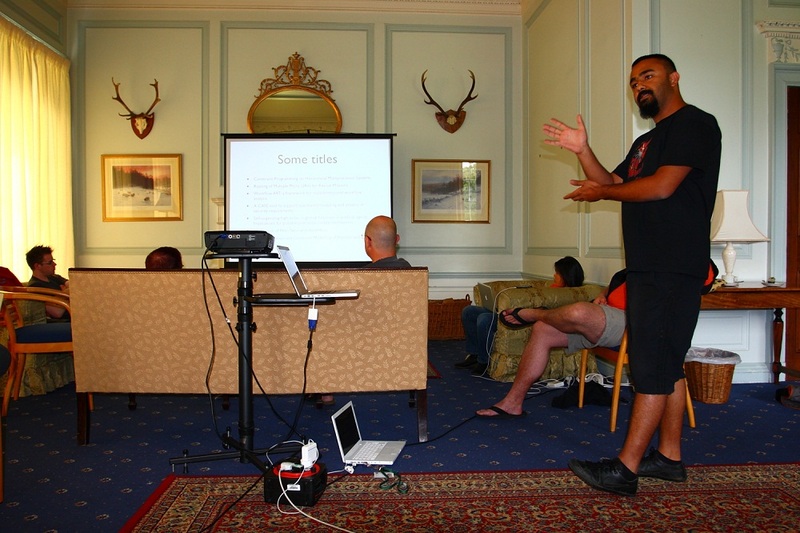 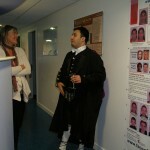 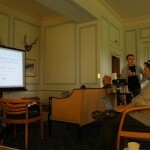 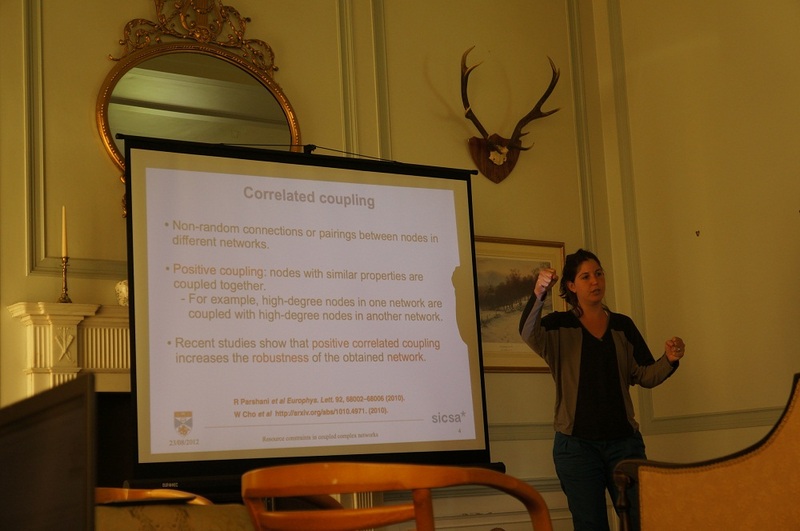 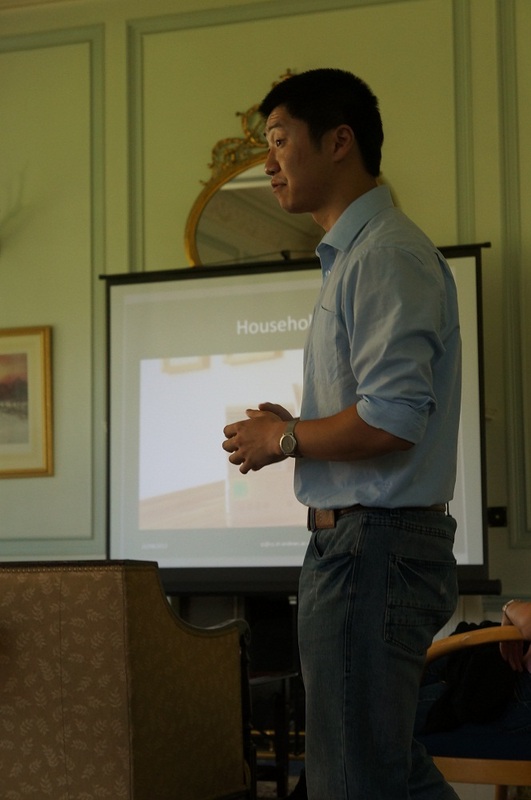 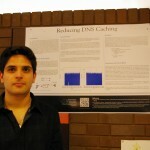 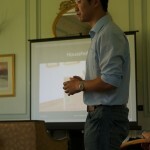 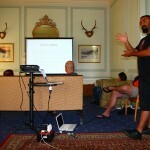 give a talk in a relaxed atmosphere, about their research interests. 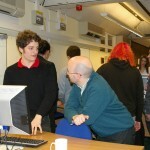 Each student gave a 20 minute talk including time for questions and discussions. 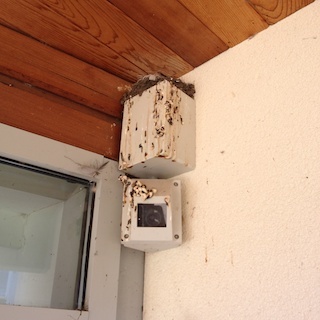 All that’s left to do is clean up after them. 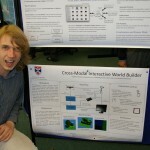 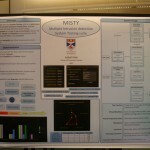 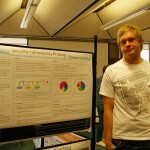 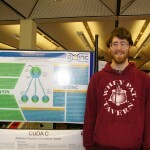 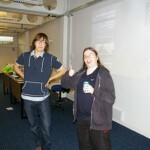 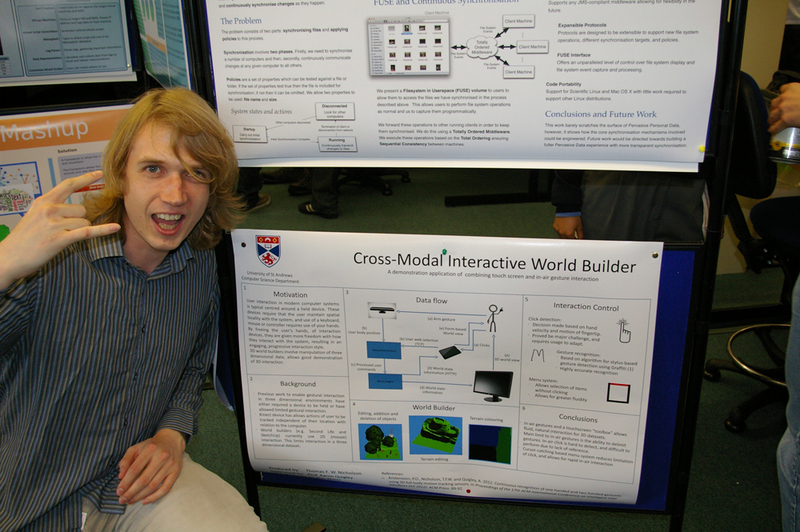 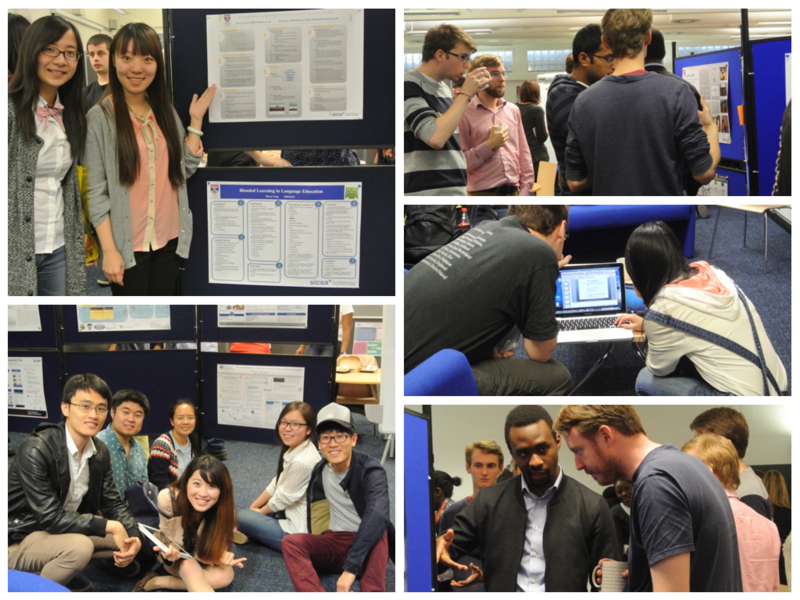 The dedicated and talented final year Computer Science students presented their projects yesterday. 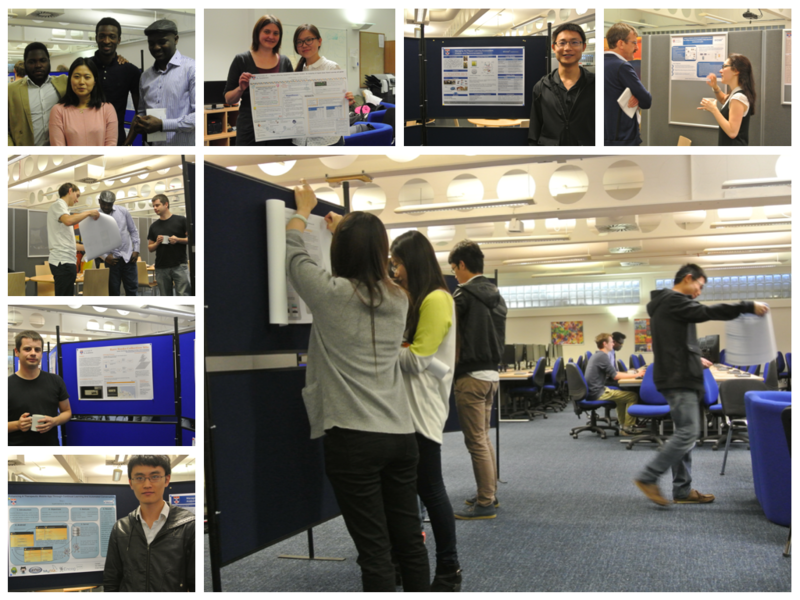 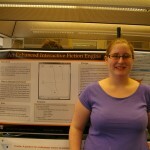 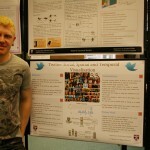 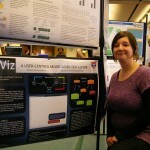 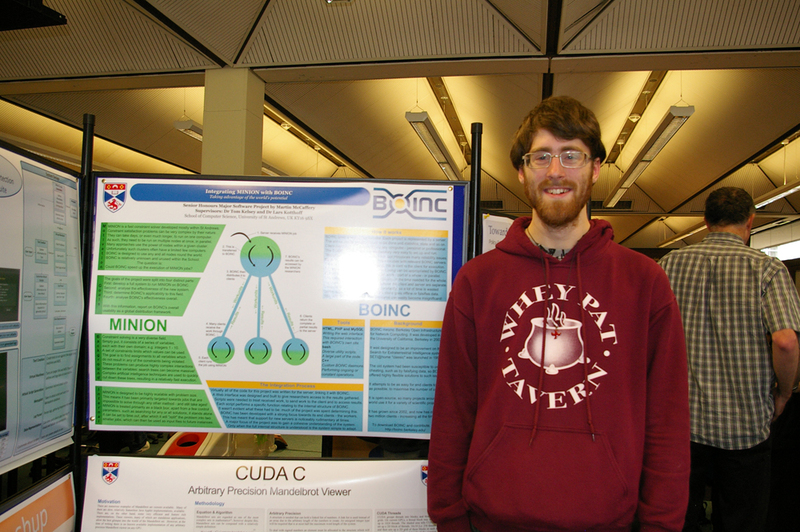 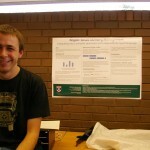 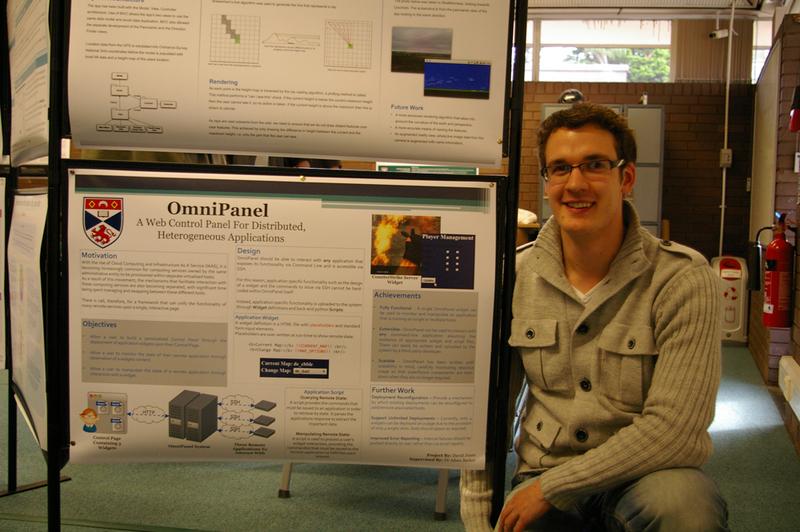 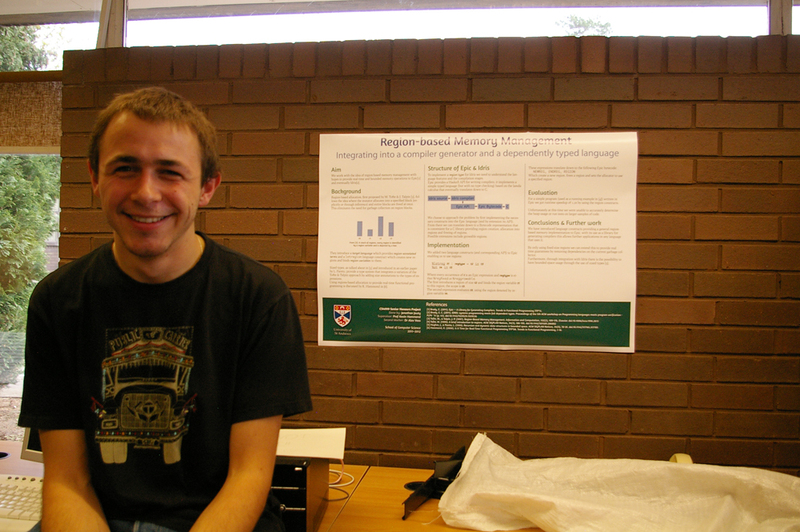 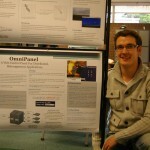 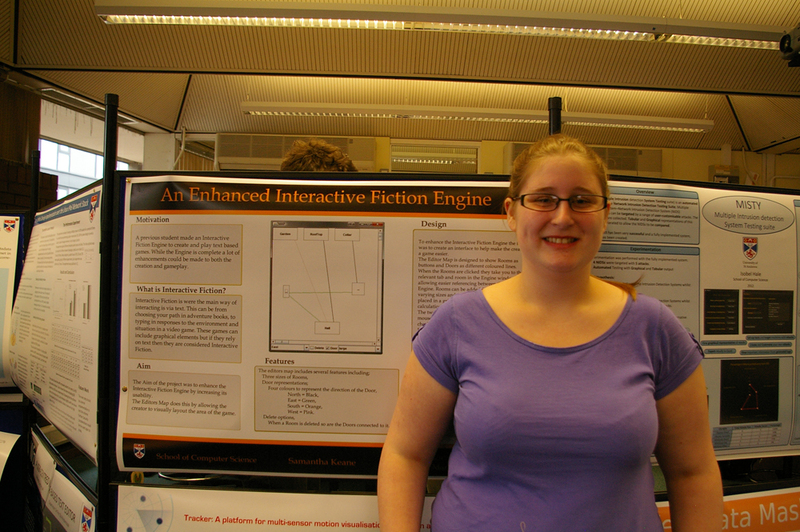 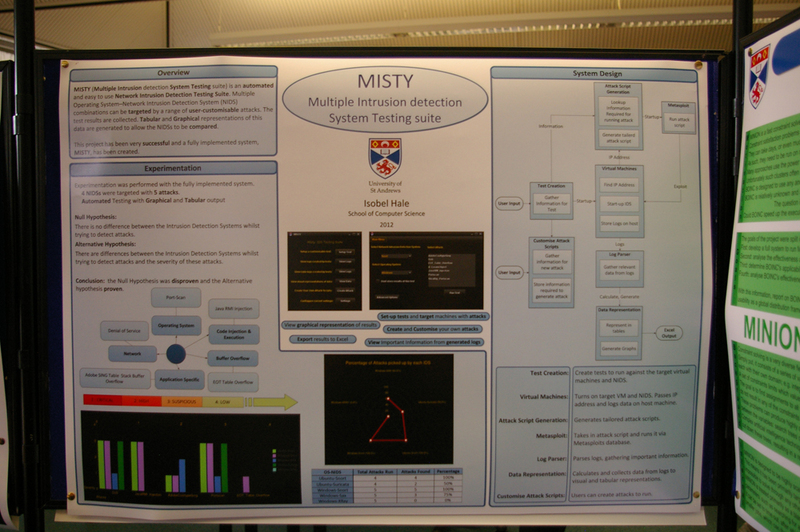 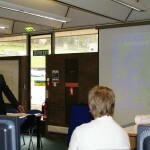 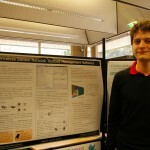 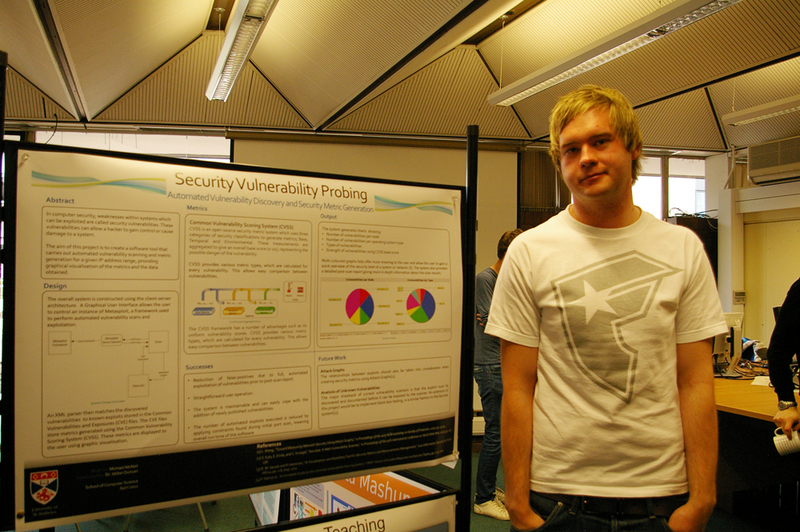 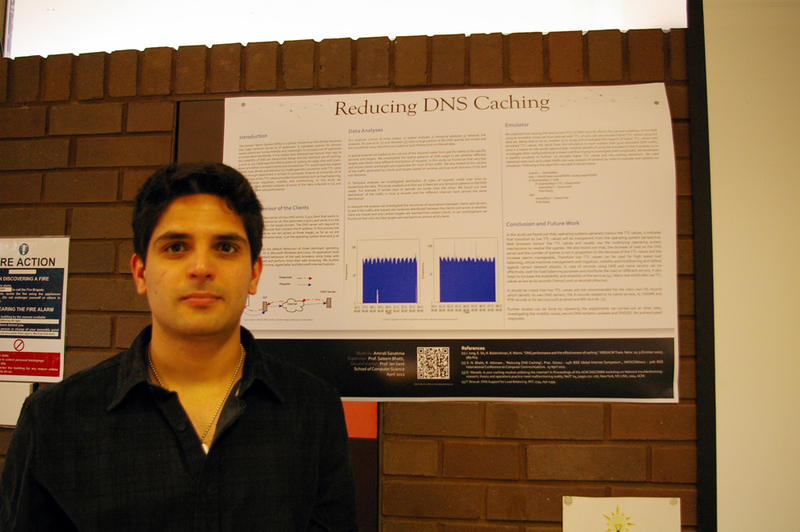 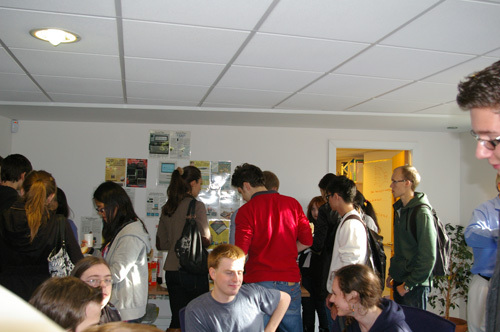 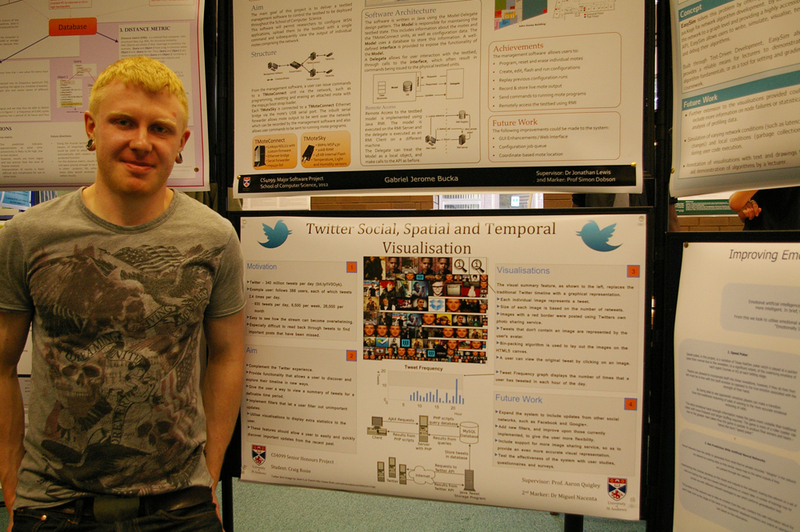 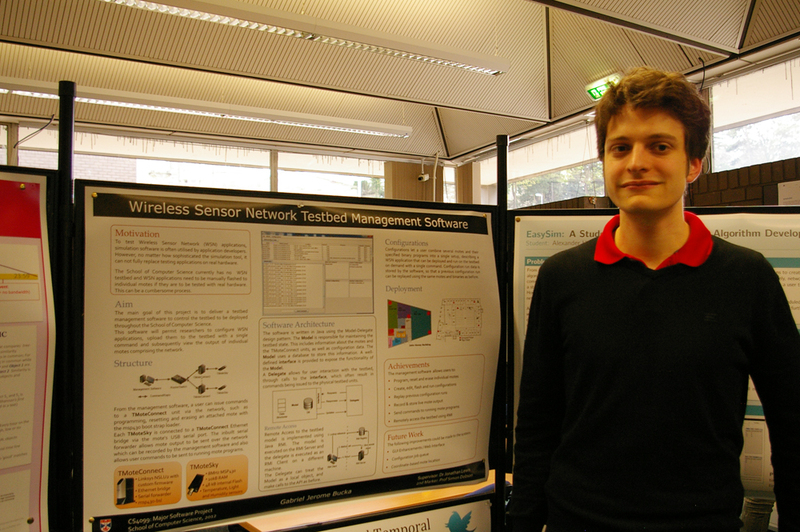 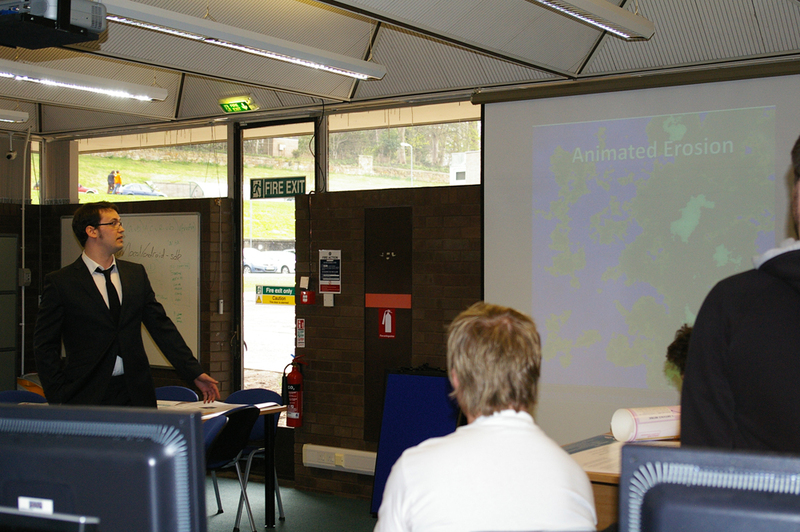 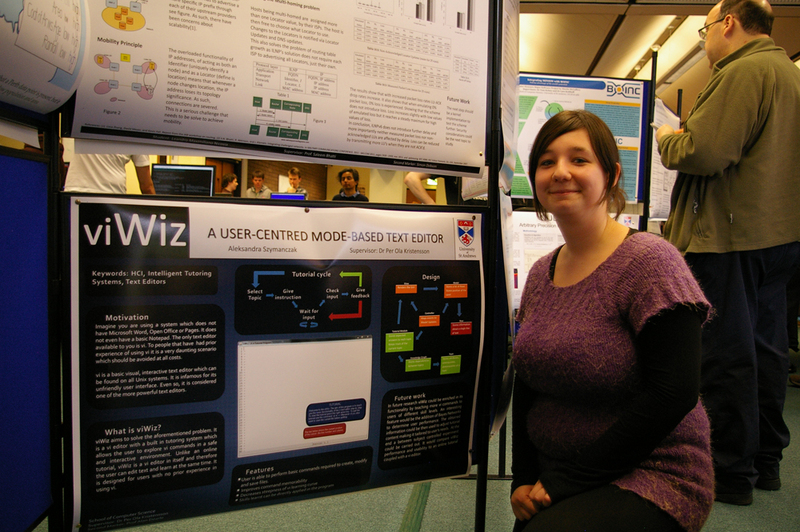 Short presentations were followed by demonstrations and a poster session. 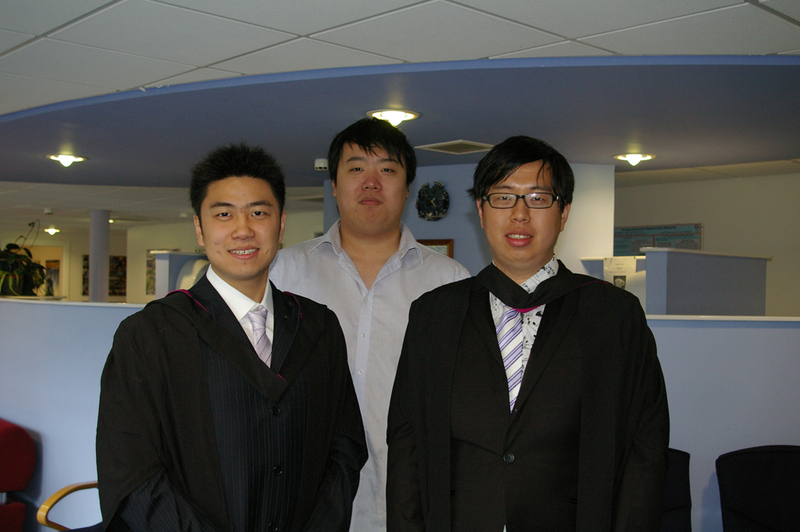 We wish them every success as they approach graduation. 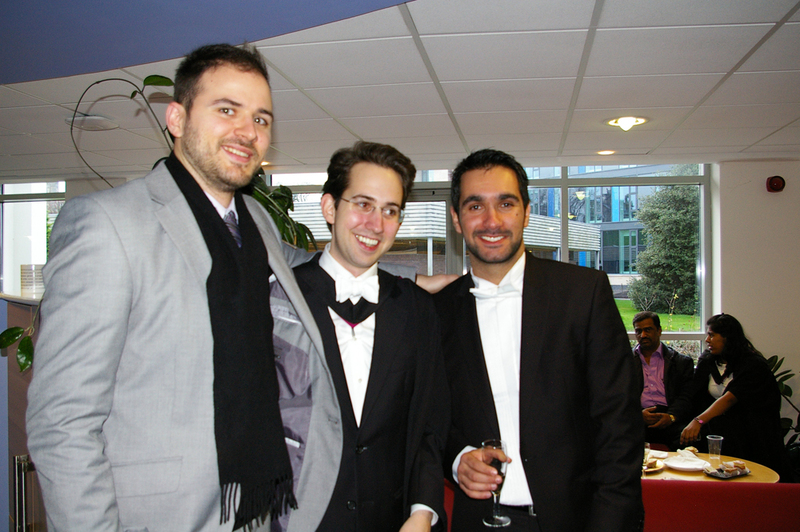 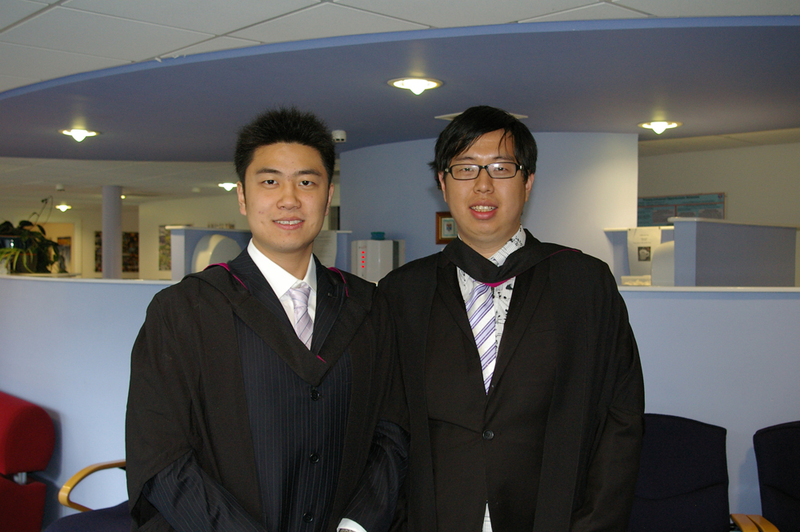 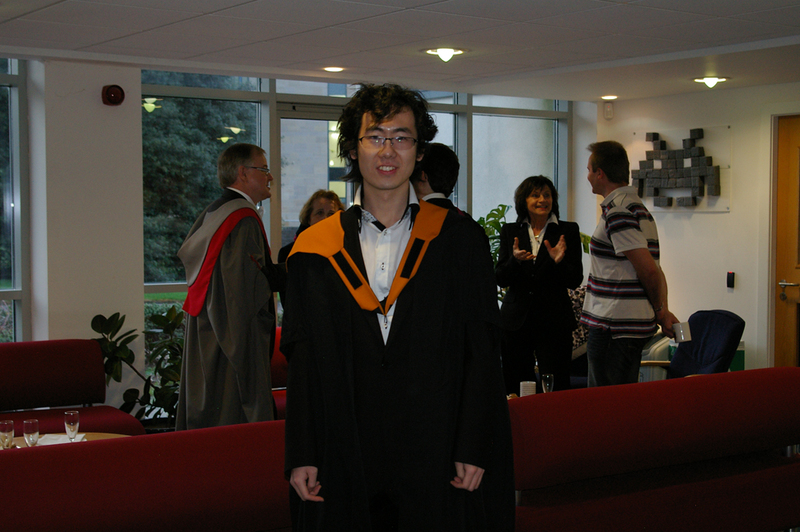 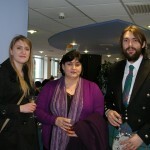 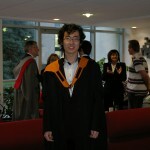 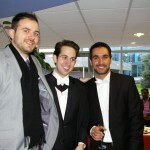 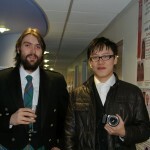 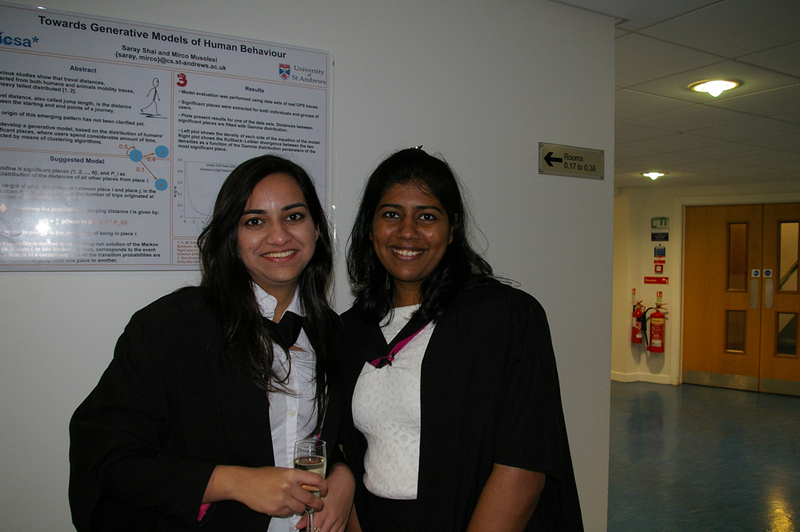 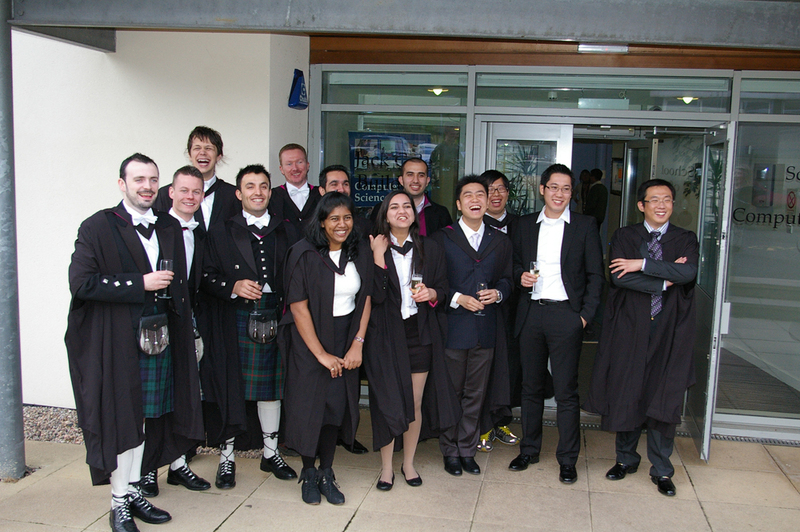 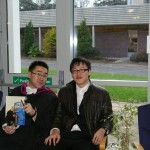 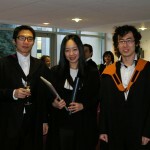 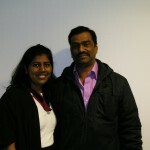 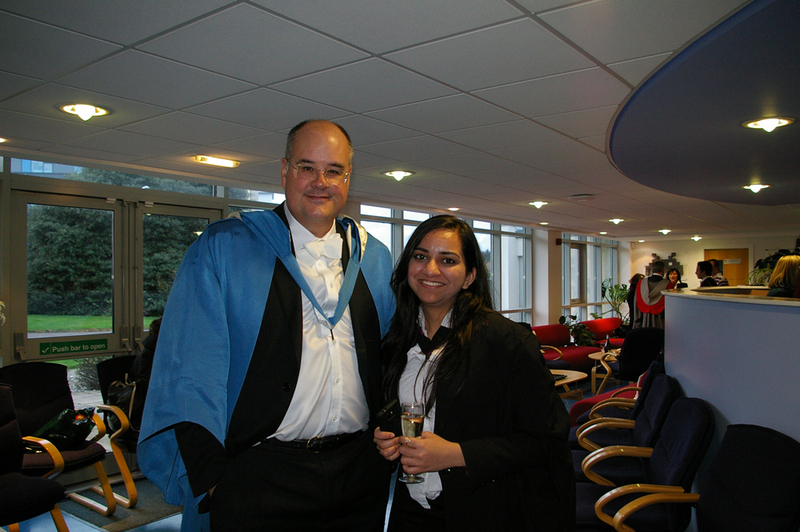 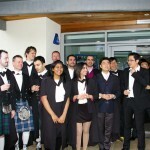 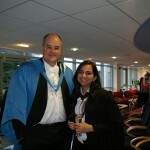 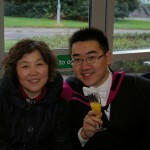 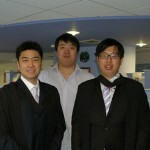 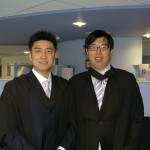 Congratulations to the Masters Class of 2011, and our PhD students, who graduated today. 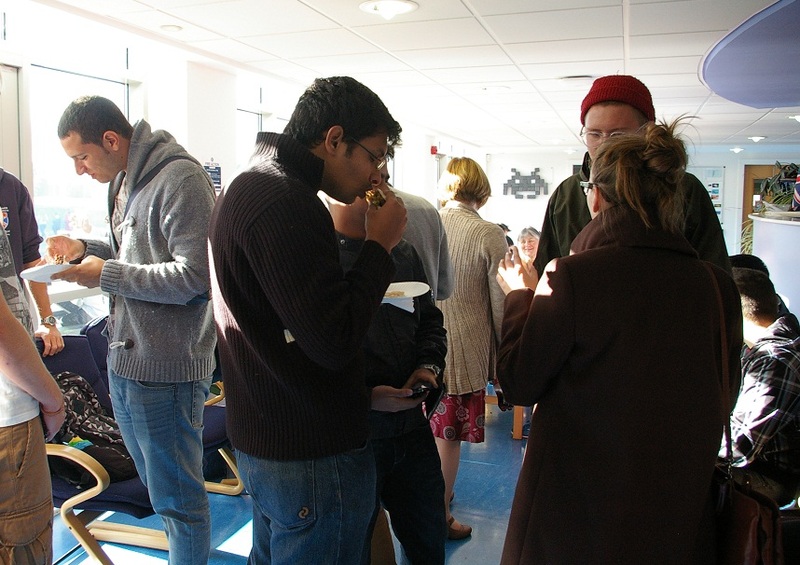 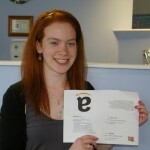 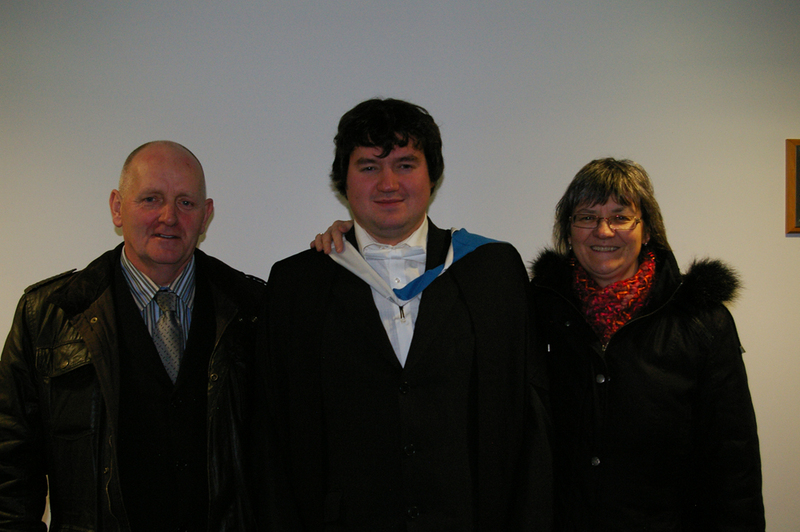 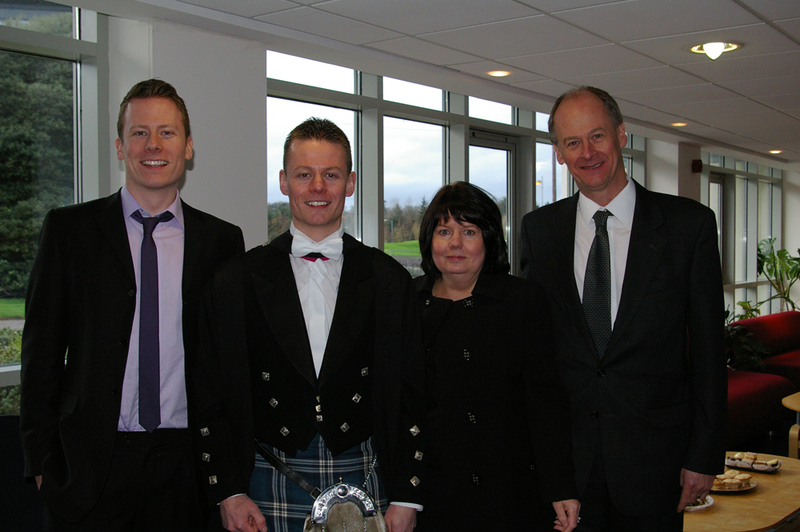 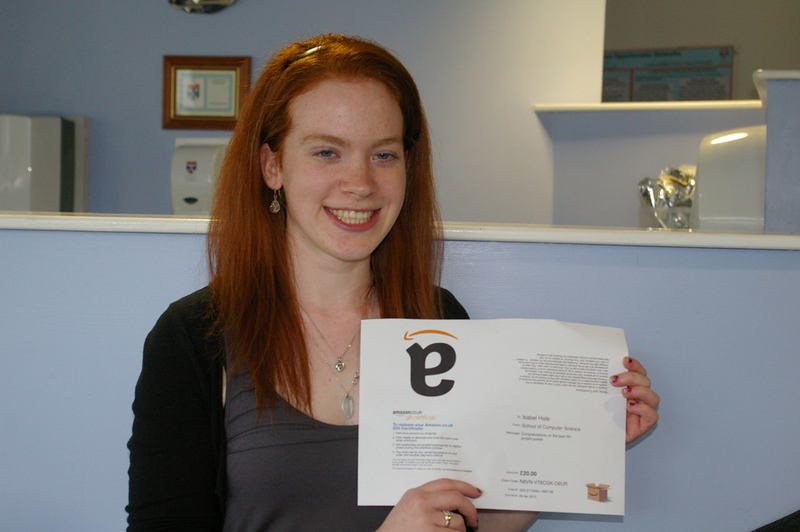 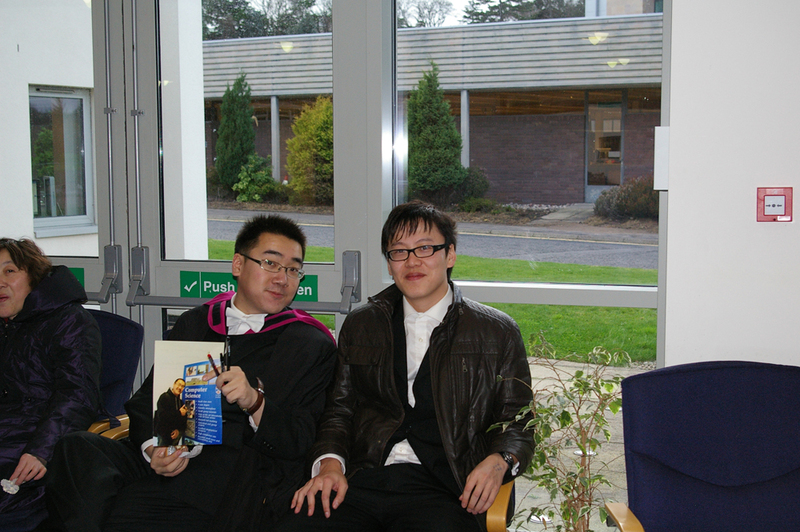 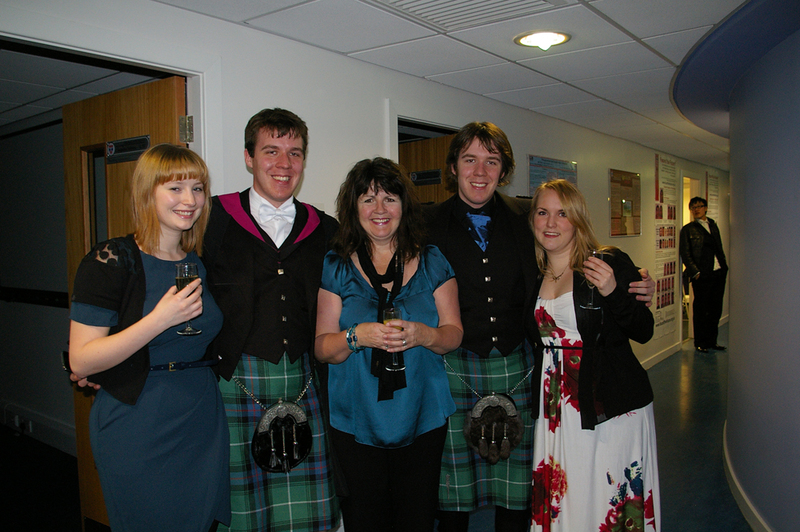 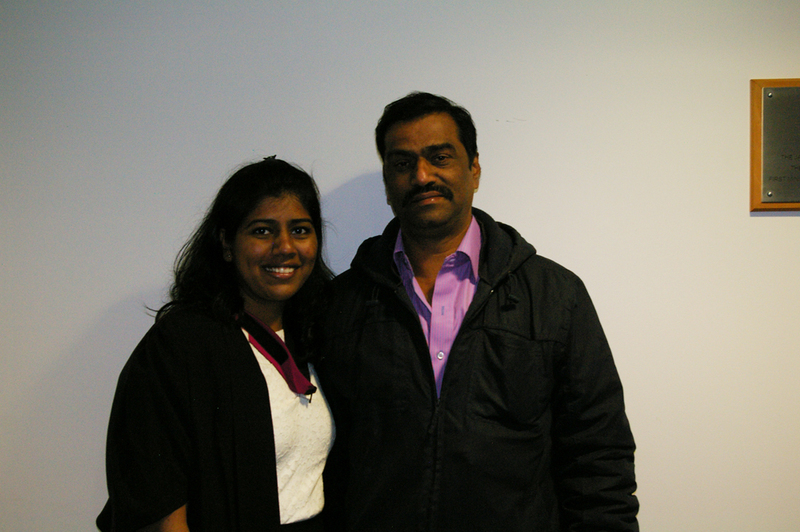 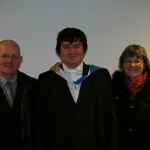 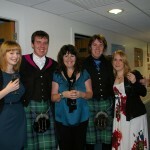 Students were invited to a reception in the school to celebrate their achievement with staff, friends and family. 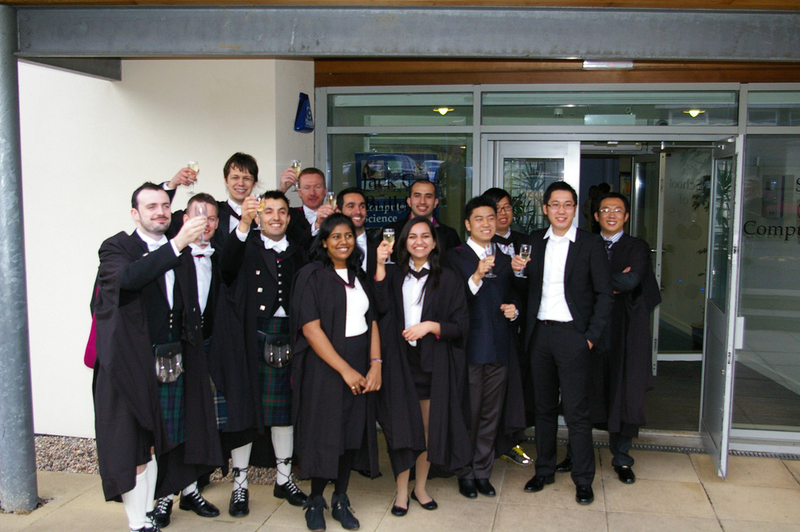 Our graduates have moved on to a wide variety of interesting and challenging employment opportunities, and we wish them all well with their future careers. 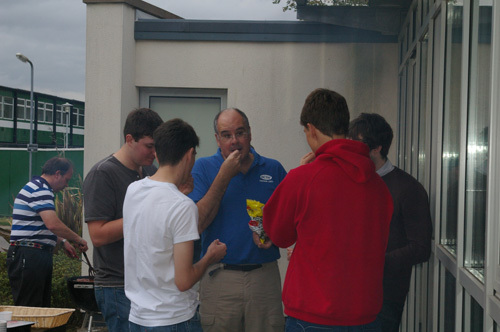 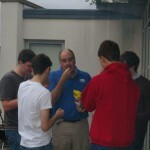 Another BBQ in the School is underway. 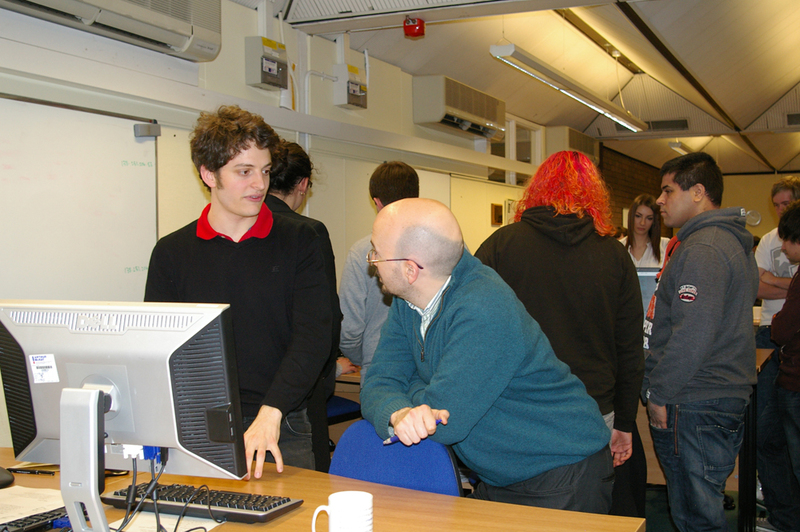 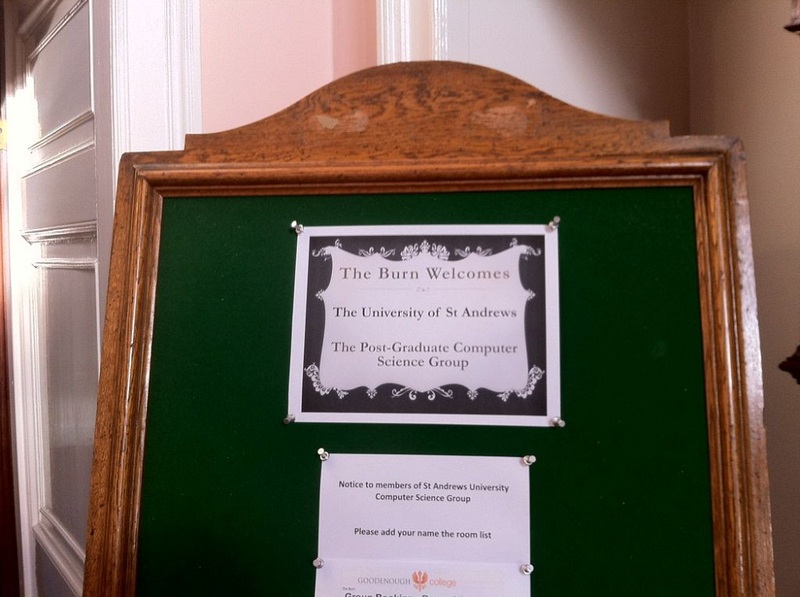 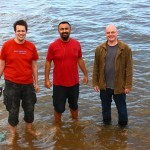 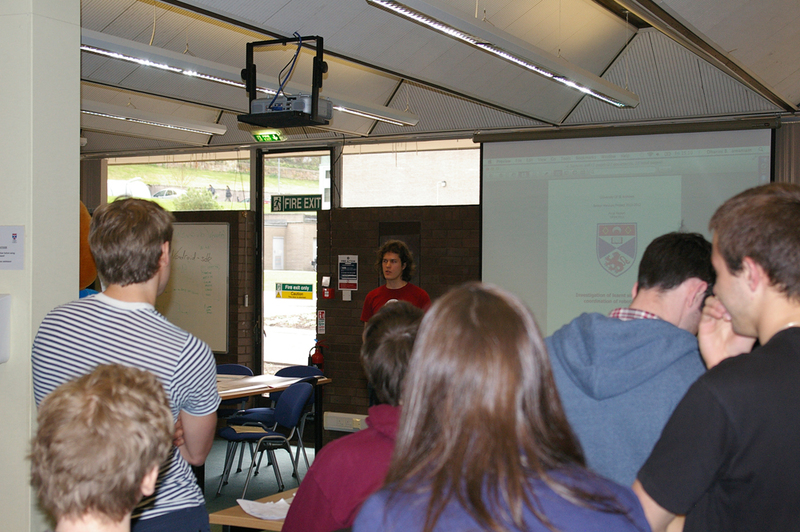 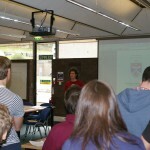 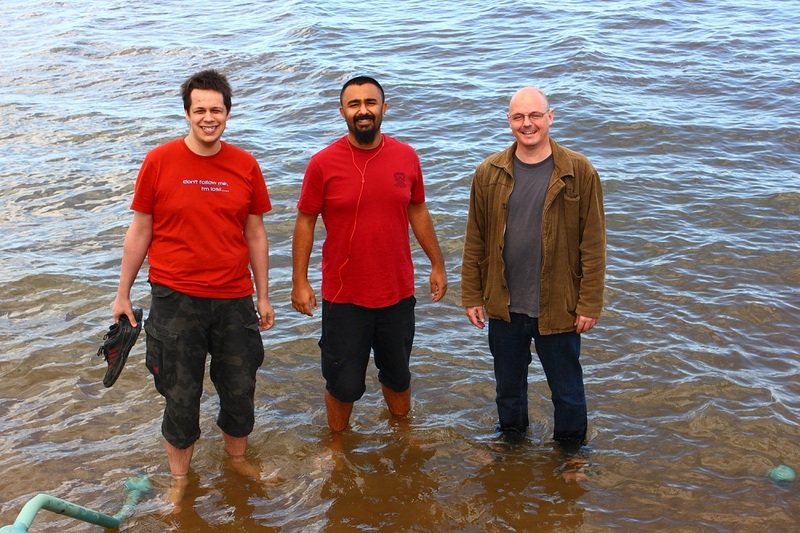 An opportunity to welcome the new undergraduates and allow them to meet other Comp Sci students. 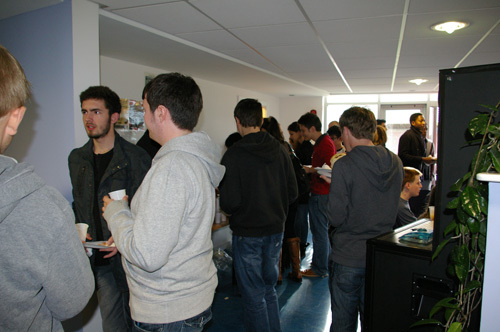 A great turnout from 2nd yr, JH and SH. 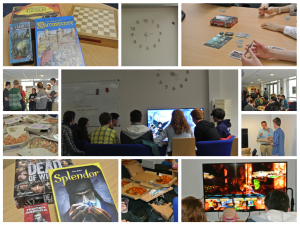 A small Gamefest in the sub honours lab on Wednesday proved successful and attracted some of our new undergraduate students. 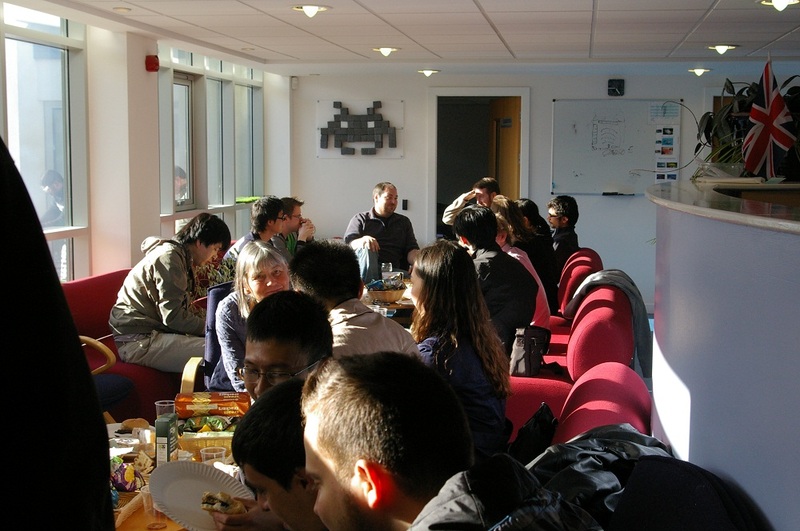 Comp Sci staples Pizza and Irn Bru provided sustenance for the afternoon session of Mario Kart and Call of Duty.